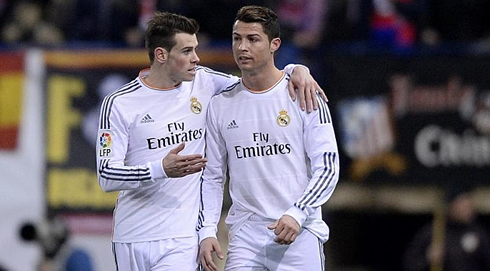 ﻿ Gareth Bale: "Cristiano Ronaldo is my friend and a great teammate"
14.02.2014 » Gareth Bale: "Cristiano Ronaldo is my friend and a great teammate"
Gareth Bale may have had a slow start in Madrid since his arrival in last August, but the former Tottenham winger has already given enough signs for people to know that once he finds his best form and gets completely integrated in the team, the Merengues will quite simply shift another gear up. 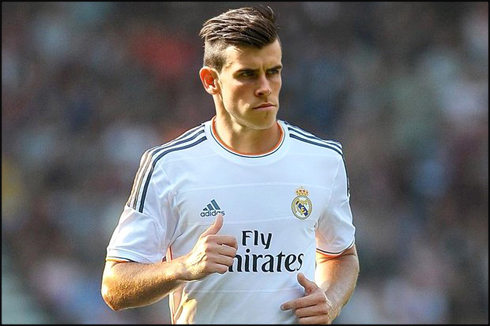 According to the Welshman's own words, Ronaldo will keep playing a vital part in helping Bale feeling more comfortable in Spain. Gareth Bale has been UEFA's football star picked out to feature on the cover of the latest Champions Matchday magazine. The Welshman had no problems in granting a few words about his adaptation to a new country, what it feels like to play for a club like Real Madrid and also his relationship with the team's biggest star and his idol, Cristiano Ronaldo. The Champions League action returns right next week, with the main ties taking place in England, first through a Manchester City vs Barcelona clash of the giants on Tuesday, and then a thrilling Arsenal vs Bayern Munich on the day after, at the Emirates. Real Madrid steps on the pitch to take Schalke 04 the week after, on February 26, on a first leg that will be played in Germany. Since Gareth Bale's signing for Real Madrid in the last day of the past Summer's transfer window, his trajectory in Spain has already had a few bumps emerging in his path. Nevertheless, the 24-year old player from Wales has managed to produce a positive impact in the team and his numbers so far are nothing but encouraging, especially if we have in mind this is still his first season and that he has come to a different club, in a different country. Gareth Bale: "In the beginning, I thought my adaptation to Spain was going to be easier, but one way or another, I keep learning Spanish one step at a time. This will be crucial to me, since I need to be speaking Spanish fluently in order to feel more comfortable living and playing here. Fortunately, my teammates have been helping me a lot in speeding up this whole process", started by noting Real Madrid's number 11. 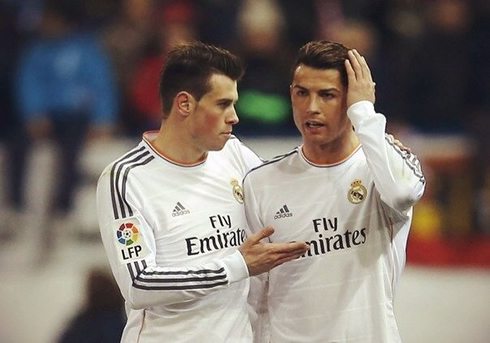 Gareth Bale: "Cristiano Ronaldo has been a real friend and a great teammate to have by my side. He's constantly giving me advices and helping me a lot. He was already my idol before I came here and have the chance to know him, but now that I do know him and play on the same team as him, the only thing I can say is that I admire him even more. Thanks to Ronaldo, everything has been going more smoothly for me. I deeply believe that we can form a powerful partnership on the football pitch", promised the Wales international, who has already assisted Cristiano Ronaldo for goal quite a few times this season. Bale: "Real Madrid is obviously aiming to win all the competitions we are competing at. Playing for this club quite simply means we have an opportunity to play for the best team in the World, where the level of demand is always high and where we always have to play for winning. Players here at this club always work a lot with that in mind, since we have to be at our best in all competitions. Hopefully we can win the UEFA Champions League later this season! 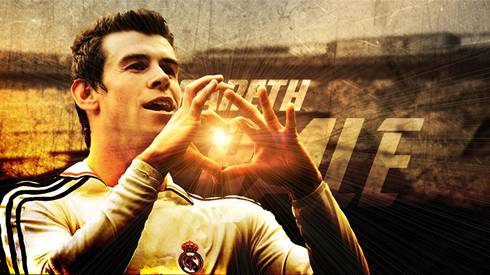 It's simply tremendous to know that we can win almost every single game we play", stated out Bale.